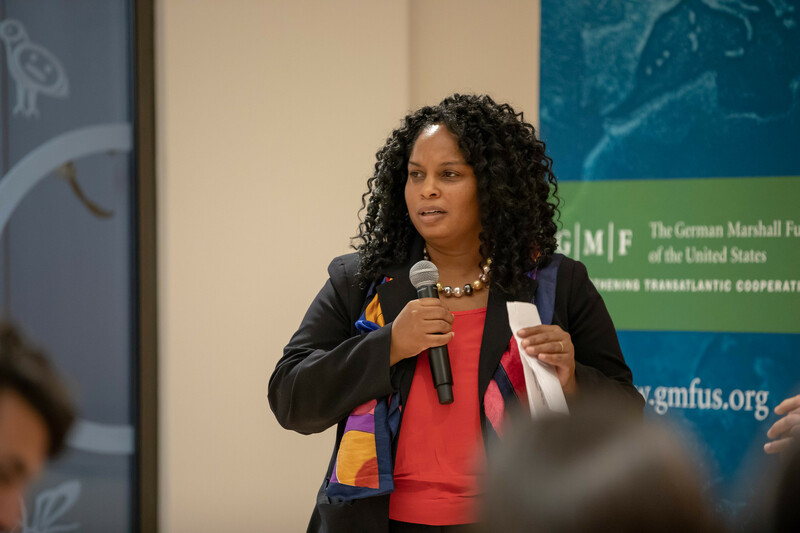 The German Marshall Fund of the United States’ (GMF) will host the inaugural Inclusive Leadership Summit, organized through the GMF Paris Inclusive Leadership Hub, a new and vital area of activity for the GMF Office of Transatlantic Leadership Initiatives. The signature elements of the Hub are annual Inclusive Leadership Summits and quarterly Inclusion Strategists Series on state-of-the-art approaches to inclusion. This series offers GMF alumni opportunities to accelerate growth as inclusive leaders in the transatlantic context. As the first team member to be dedicated full time to the work of the Paris Hub, I am excited to learn alongside distinguished alumni such as you as we move forward. During the summit, we will focus on the topic of Inclusive Leadership Networks. You will be joined by approximately 70 of your GMF peers as well as French stakeholders who create and shape pathways for emerging talent of diverse backgrounds to advance across sectors. Organized over two days of knowledge sharing and co-creation, this summit will lead to enhanced connectivity and collaboration across Europe and the United States. We will be hosted in some extraordinary venues as well for this immersive learning experience.